My journey began 11 years ago. I picked up a pastel and didn't look back. But it wasn't always an easy road. My paintings were not very good in those early says. And even though I was enjoying myself I was frustrated with my progress (or lack of progress) Fortunately I got some good advice from another artist who was encouraged a group of us to paint more often....to do a small daily painting. It made sense. If you don't practice then progress is going to be slow. Slow progress may be fine for some but for me it wasn't good enough. So I started doing a small daily painting. I cut out a stack of paper and set aside some pastels and reference photos. On my lunch break I would set a timer for 15 minutes and paint. The results were encouraging....I was becoming more confident and my paintings were improving. Painting was even more fun when the results are visible and my daily painting soon became a habit that I didn't want to break. 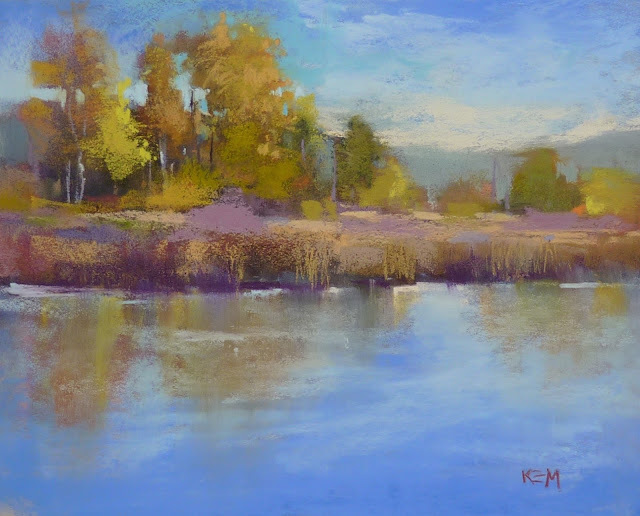 Now 11 years later I still feel the overwhelming need to get into the studio and pick up the pastels every day. I continue to learn and grow and change and daily practice makes it all possible. Now my painting sessions revolve around pushing myself and trying new things. I love it! 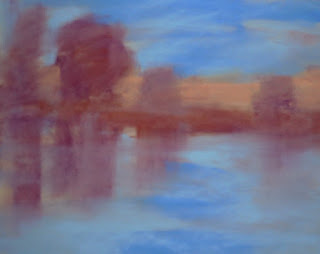 TRY THIS: I know it is sometimes a challenge to make time to paint everyday but try to make time at least twice a week. I know it is also a challenge sometimes to decide what to paint! I like to set mini challenges for myself. I am introducing this weekly column to give you some ideas to jumpstart your painting time. Each week I will issue a new goal for daily practice. This week the goal is to get set up for more practice. Cut some paper....go through your photos... set up pastels in an area where you can leave them out and get ready to paint more often!